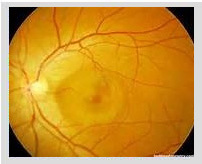 The importance of ophthalmologists in detecting systemic diseases. 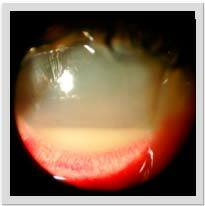 In this case, thanks to an adequate ophthalmologic examination, the diagnosis of a bacterial endocarditis was made. The patient did benefit from receiving antibiotic therapy and a replacement of the mitral valve. A 74-year-old woman complained of visual loss in her right eye since 3 days. Medical history revealed hypertension, oral epidermoid cell carcinoma (treated by surgery and radiotherapy 5 years ago) and diabetes mellitus (well controlled). At admission visual acuity was 20/100, the anterior chamber showed a 1mm hypopyon, and vitritis was present. 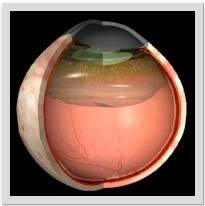 The diagnosis of endogenous endophthalmitis was made and intravenous antibiotic therapy started. General examination discovered a suspective costophrenic angle. Echocardiography demonstrated endocarditis with mitral valve involvement and consecutive severe heart failure. 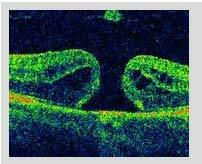 Meanwhile, the eye showed no response to antibiotic therapy. 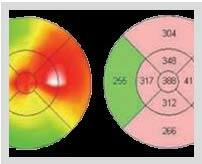 Visual acuity had worsened (just light perception) and severe pain had occurred. The internist recommended enucleation to avoid septic embolism. 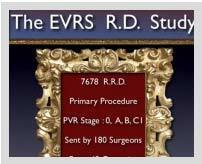 After enucleation, the patient underwent cardiac surgery with mitral valve replacement. At present, the patient ‘s cardiac function is compensated (grade II functional classification) and she wears an ocular prosthesis. Don´t never forget that the ophthalmologist can save a life just for the ocular findings.